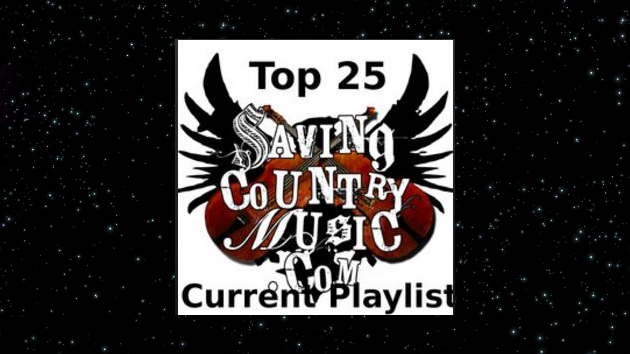 In the continuing effort to keep you abreast of some of the best music coming out in the true and independent country realm, some new selections have just been added to Saving Country Music’s Top 25 Current Spotify Playlist—a barometer (hopefully) of the best songs, albums, and artists to check out that the mainstream is not feeding you. You may have never heard of Hayley Thompson-King, but you should be listening to her new throwback song “Large Hall, Slow Decay” that was just released to wet your whistle for her upcoming record due out September 1st, Psychotic Melancholia. The song puts her new record up for one of the most anticipated for late summer. Parker McCollum is one of the more revered up-and-country songwriters in the Texas scene, and he’s just released a brand new 4-song EP called Probably Wrong: Session One. EP’s often get overlooked, but this is one that should be on everyone’s radar. The only problem was trying to determine which song from the EP to include here. Eventually “I Can’t Breathe” was selected, but go ahead and give the whole damn thing a spin. It’s a great example of how to keep country rootsy, but still give a contemporary, fresh feel. The Sons of the Palomino hit on all cylinders with the song “Independent Trucker” from their recent self-titled release, and so we’d be remiss to not include it here. And under the philosophy of highlighting when the mainstream actually does something right, one of the latest songs from Joe Nichols called “I’d Sing About You” from his upcoming album Never Gets Old has been added. If you don’t do the Spotify thing, you can always find a list of the songs, albums, and artists below to venture further in discovering some new music via SCM’s top current recommendations. I love how you keep this list updated, Trigger. Excellent stuff! I have a Spotify playlist of old and new COUNTRY music (the real stuff) that has currently around 350 songs from several hundred artists. It only has 30 followers but they love it. My Spotify Username is CrazedCountryRebel and the playlist is called “REAL Country Music, Old & New” if anyone is interested. MORE IMPORTANTLY, follow SCM’s list. Half the music on mine was discovered through this wonderful blog in the first place. ? Good list ! Your Mickey Gilley song shows up as an error for some reason. It’s a good mix ! My own lists (see link) are mostly new music so far, even though I listen to the classic stations pretty often. Love the playlist. Keep ’em coming. These playlist make my work days so much better. Thank you guys!